Chamomile tea is made using the flowers or buds of the German or Roman chamomile plant, although the German chamomile is the one that is more commonly used. The flower heads are cut and then sun-dried before being used in a herbal tea. Chamomile has several health benefits like relieving muscular pain, helping insomnia, soothing cramps, and remedying runny noses. Moderate amounts of chamomile tea can be beneficial for women during pregnancy in the following ways. A small cup of chamomile tea before bed calms the nervous system, helping you wind down and sleep much better. 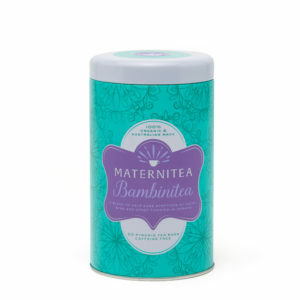 Chamomile has a soothing and mild sedative effect, which is safe and helps with the common pregnancy insomnia. During pregnancy your immune system deliberately lowers as to not reject your baby. However, this can leave you more susceptible to illness. Chamomile contains nutrients that help the body fight off infections and increase resistance to diseases. Drinking chamomile tea helps boost the immune system and prevents germs from invading the body. As your body is constantly expanding and stretching to accommodate your growing baby, its very common to feel sore and get cramps. Chamomile tea helps relieve muscle pain and cramps by increasing the amount of the amino acid glycine in the body. Glycine can act as a muscle and nerve relaxant, therefore soothing those poor stressed muscles and ligaments. It also calms you down and reduce anxiety by relaxing your nerves. Because of the pregnancy hormones and increased blood being pumped through your body including your gums during pregnancy, mouth sores and gum infections are quite common. However, can be potential life threatening to the baby if left untreated. Chamomile tea can help protect and treat mild mouth ulcers when used as mouthwash. Rinse your mouth with the tea and spit out twice a day to see a reduction in the number of mouth sores. The pregnancy hormone progesterone can slow the digestive system down, causing it to become sluggish. The effects of this can include, bloating, heartburn, constipation and excess wind. Chamomile is soothing to he digestive system. It can soothe the stomach and relieve these common side effects. It contains anti-inflammatory agents that can reduce inflammation in the digestive tract. A small cup of chamomile tea also soothes you and helps reduce nausea caused by morning sickness. Whilst Chamomile Tea can be found almost anywhere, the quality of the herb is whats important to receiving these benefits. Most supermarket blends you can buy will be the finely crushed dust or chopped pieces of the flower, not necessarily the quality therapeutic of the bud. Try to find chamomile tea where the whole flower is in tact, like in our SereniTea and BambiniTea Blends.